Now that Easter has come and gone, it's time to look forward to the next big holiday... Mother's Day. Mother's Day is a big one for me, since it falls in May, which also happens to be my birth month. My family knows that the entire month of May is basically devoted to ME -- after all, I spend the other 11 months of the year catering to their every need, so for this month at least, I'm going to put myself first. May is the month I make time to schedule haircuts, manicures, and bikini waxes. May is when I schedule my dentist and doctor visits. It's when I buy flowers to make our home look pretty. If I can only run 1 race per year, it would always be the Bay to Breakers race, held on the 3rd weekend in May. It's when I don't feel any guilt whatsoever about going to movies by myself or to lunch with friends. I always tell my family that they don't need to spend a lot of money on presents for me, and it's true. All that present money comes out of the same bank account anyway, and as most moms know, getting time for themselves is one of the best presents ever. Still, it's always nice when they surprise me with something thoughtful that says they want to make me feel special. I love anything personalized, but oftentimes personalized presents are either way too expensive (mom jewelry!) or too tacky (photo mugs!). So it's nice to see affordable, stylish options like the photo gifts from Shutterfly. I trust their good taste -- hey, they bought my favorite card company Tiny Prints! What other evidence do I need of their good taste! -- and if their gorgeous photo books (of which I have many) are anything to go by, their photo gifts will be tasteful and just right for any occasion, be it Mother's Day or Father's Day or graduation. 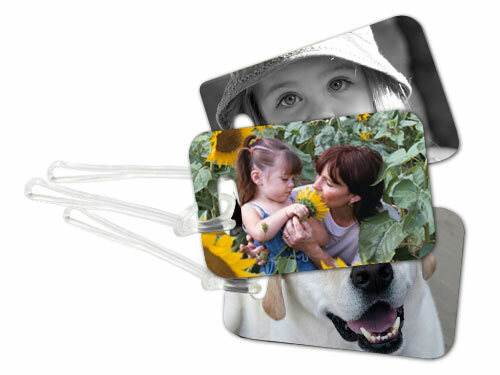 I'm sick and tired of filling out those flimsy paper luggage tags at the airport, so these custom luggage tags are the perfect present as we head into the summer travel season. Not only will your contact information be right where the lost-luggage people can see it, but the personalized design will help you identify your bags quickly and get away from the luggage carousel before everyone else. These Personalized iPhone cases are so adorable! 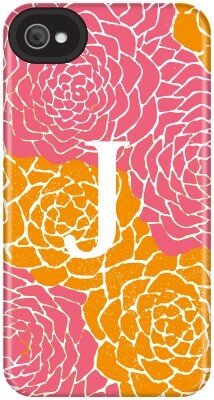 My phone case is boring black, and I really want it to be pretty and girly like the case above. Please, please, please, Shutterfly, can we get these for Android phones? Two presents, two occasions (Mother's Day and my birthday), just perfect! Disclaimer: I will be receiving a Tiny Prints gift card courtesy of Tiny Prints as a thank-you for writing this post. Tiny Prints provides simple, modern and unique stationery, from personalized greeting cards to custome wedding invitations to custom photo gifts and more. For more information about Tiny Prints, follow Tiny Prints on Twitter, like them on Facebook, or follow them on Pinterest. The views and opinions expressed here are my own.